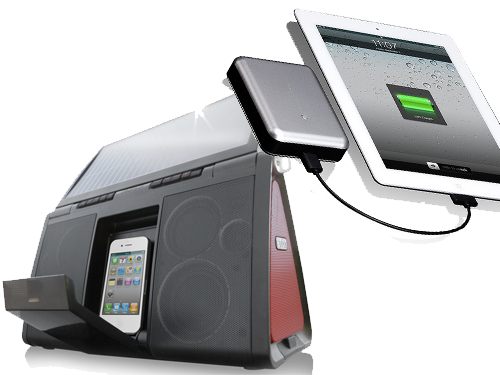 Power your portable iOS audio speaker system using the rays of the sun. Then charge your iOS devices using portable high-capacity USB batteries. Listen to Nemo’s personal experience with Eton’s Soulra and Soulra XL, and with Just Mobile’s Gum Plus and Gum Max. Then enjoy your solar and mobile charging equipment in the great outdoors. Sam Negri’s MyMac review of Soulra XL. This entry was posted in AppMinute Podcast.